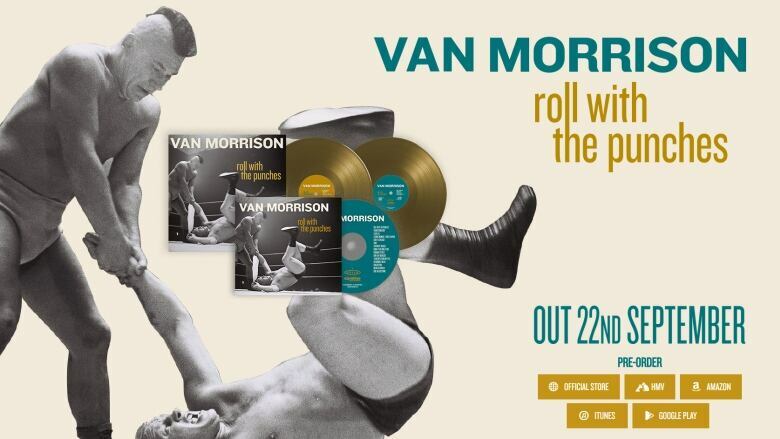 An image showing former professional wrestler Billy Two Rivers smacking an opponent down on the mat is being used on the cover of music icon Van Morrison's new album. But the image was not used with Two Rivers's awareness or consent, his lawyer says. A former professional wrestler and ex-chief of the Mohawk Council of Kahnawake is suing singer-songwriter Van Morrison and his record company over the music icon's upcoming album cover. Billy Two Rivers wrestled around the world for more than two decades and was known for his trademark Mohawk hairstyle. His image is being used on the cover of Van Morrison's new album, Roll With the Punches, slated to be released Sept. 22. 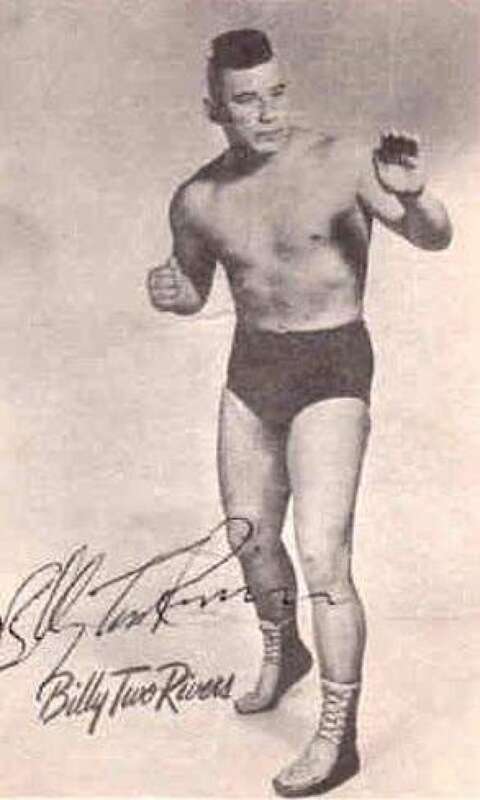 Billy Two Rivers wrestled in the United States and U.K. in the 1950s and 1960s. (onlineworldofwrestling.com)"There are rules for using someone's photo for commercial purposes, and the simple rule is you need consent and they never even asked him," said Michael Graif, Two Rivers's New York-based lawyer. The photo shows Two Rivers, who is from Kahnawake, Que., throwing down an opponent on the mat, but according to his lawyer, the image was not used with Two Rivers's awareness or consent. It is unclear who took the photo. Among other things, Two Rivers is suing for violation of his right of publicity, according to the lawsuit which was filed Thursday in a New York court. None of the claims have been proven. Two Rivers was a mainstay on the wrestling circuit in the 1950s and '60s, competing in the United States, England, Scotland and elsewhere. He has also served on the Mohawk Council of Kahnwake in different capacities, including as elected chief in the 1990s. He was was a band council member during 1990 Oka Crisis. He is also an actor, with roles in the 1995 movie Pocahontas: The Legend and APTN series Mohawk Girls. Two Rivers is asking for an unspecified amount in compensation damages as well as punitive and exemplary damages and legal fees. Graif said he is hoping the case can be settled without a long court process, but told CBC Montreal's Daybreak "that's something that is not up to me." Music company Universal did not immediately return a request for comment from CBC News.